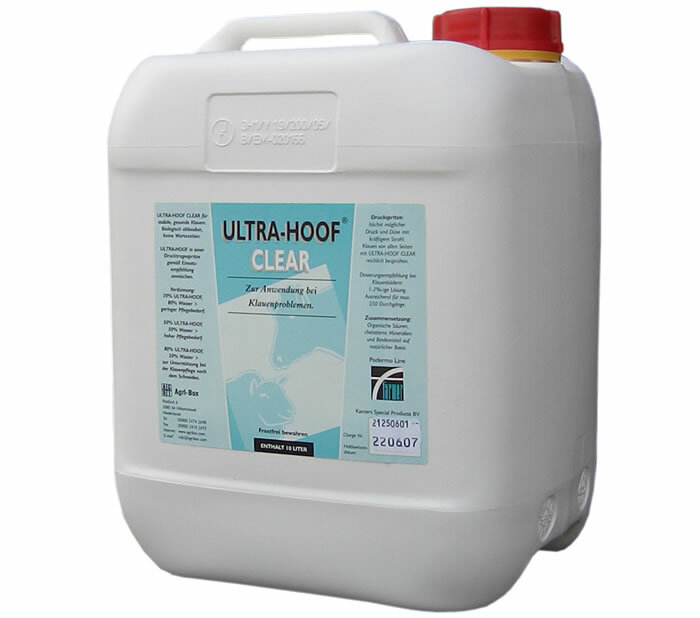 Ultra-Hoof® Clear is the perfect solution for group care and preventive care. With a minimum investment you can take care of the whole herd. The practical experience has shown that the best results are achieved with the use of a knapsack sprayer. Depending on the intensity of the problem, Ultra-Hoof® Clear should be mixed with cold water at a mixing ratio from 1:1 to 1:4. The most effective care is achieved when treatment is performed on a rehearsal basis. 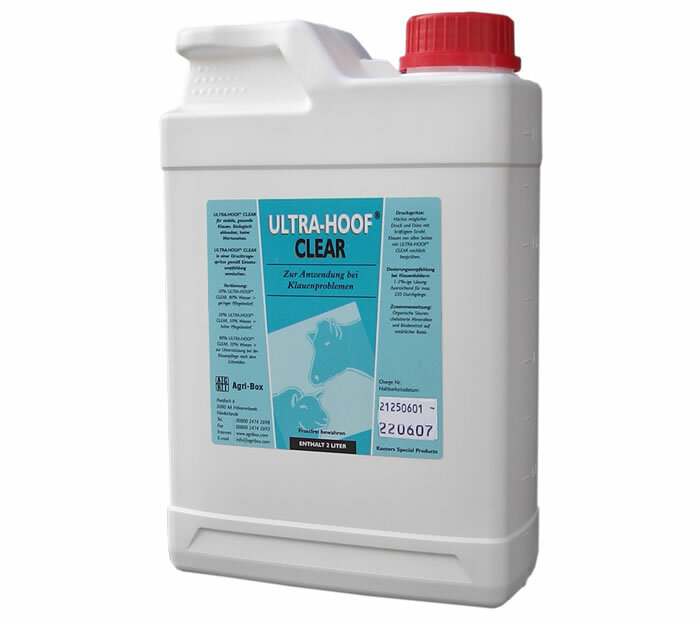 Therefor Ultra-Hoof® Clear should be sprayed within the interdigital space for 2-3 consecutive days. This can be repeated, depending on the need. With the combination of Ultra-Hoof® Clear and Ultra-Hoof® Gel you have the complete solution for effective hoof care! 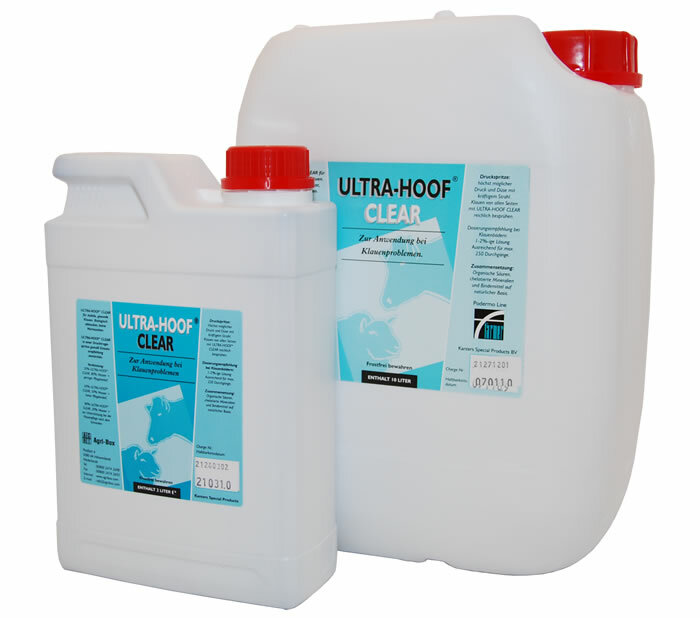 Ultra-Hoof® Clear is available in 2 liter and 10 liter.